This story was published in collaboration with the Mountain West News Bureau, a collaboration between Wyoming Public Media, Boise State Public Radio in Idaho, KUER in Salt Lake City and KRCC and KUNC in Colorado. 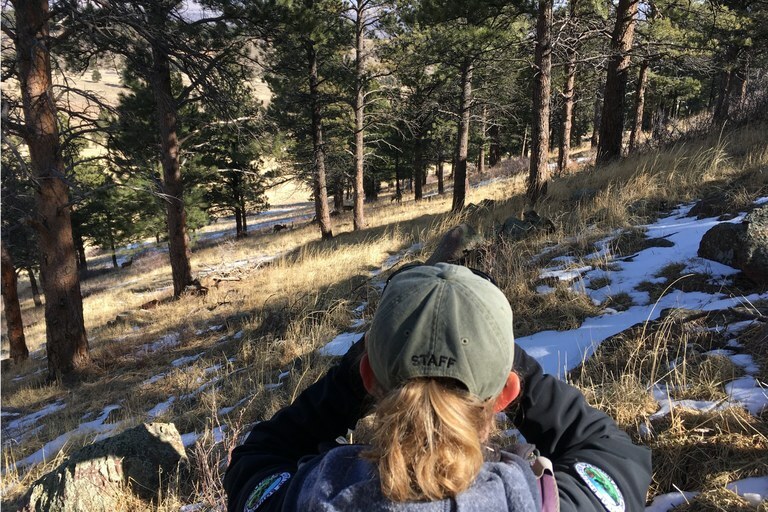 Heather Swanson spots the mule deer herd outside Boulder, Colorado, that is known to be infected with chronic wasting disease. Elk at the National Elk Refuge in Wyoming. Conservation groups have filed suit against the U.S. 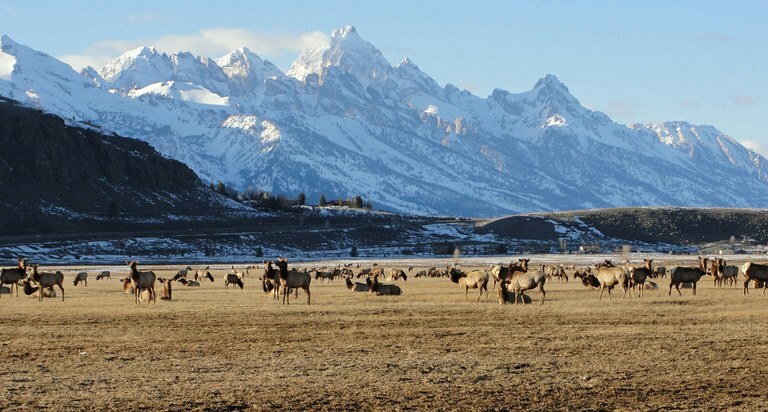 Fish and Wildlife Service to phase out feeding the elk, saying the feedlots are breeding grounds for diseases including chronic wasting disease. “They're just very different from traditional pathogens,” says Kaitlyn Wagner, who researches prions at Colorado State University. 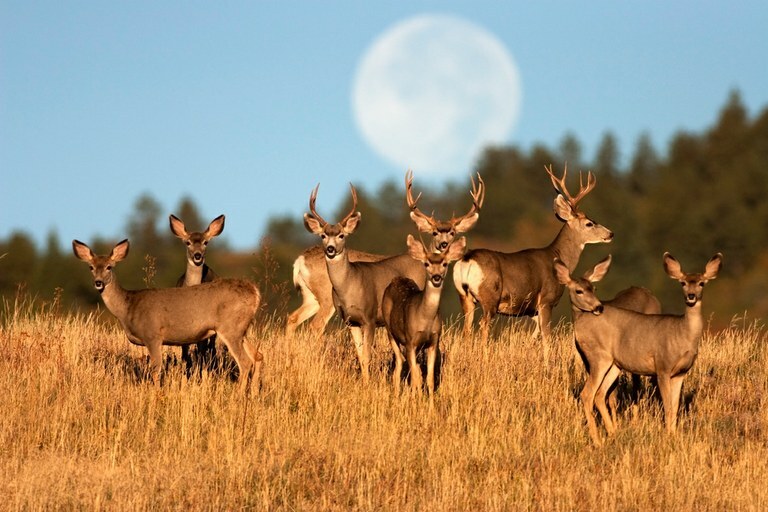 The prions that cause chronic wasting disease start out as normal proteins, she says, noting that all mammals have normal prions, sitting on the surfaces of our healthy cells. The difference between a good prion and a bad one is the shape. The problem is that good ones can transform into bad ones, a process that has inspired comparisons to the transformation of Dr. Jekyll into Mr. Hyde. 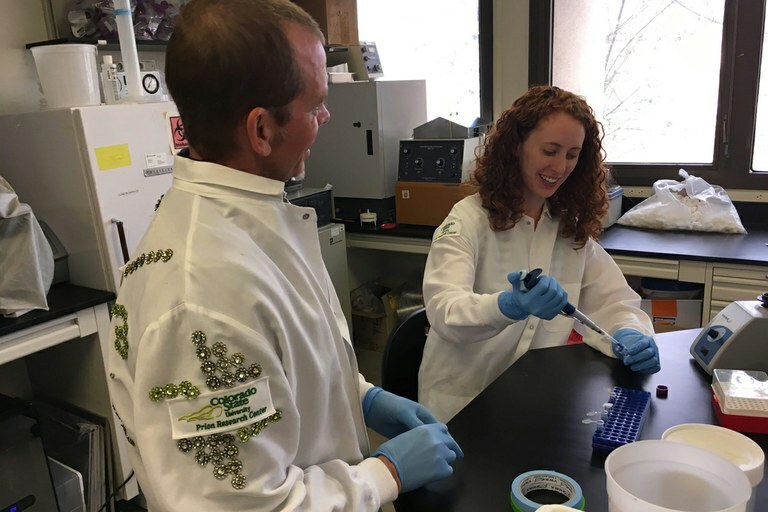 At the Prion Research Center at Colorado State University in Fort Collins, Mark Zabel, associate director, and Kaitlyn Wagner, a Ph.D. candidate in microbiology, perform all kinds of lab work, including tests on samples collected from animals thought to be carrying chronic wasting disease. 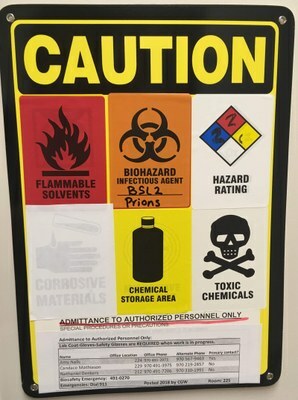 A sign at the Prion Research Center in Fort Collins, Colorado, warns of the hazards in the lab. The Norwegians sent sharpshooters out in helicopters and snowmobiles to kill all the reindeer where the infection had been found, about 2,400 of them. But just two months later, the disease showed up in a couple of elderly moose. And this month, neighboring Sweden detected its first case of chronic wasting disease. “We still don't know how it came to Norway,” says Benestad. And yet another mystery has arisen: Benestad and other researchers have concluded that the chronic wasting disease in Norwegian moose is not the same as the one circulating in North America. Upon closer inspection, the disease in reindeer is different, too. Scientists are trying to figure out what all this means. Are there multiple kinds of chronic wasting disease? And where are they coming from, anyway? “I think this question of what's going on is kind of opened up again,” says Kaitlyn Wagner. One day in late February, in their laboratory in Fort Collins, Colorado, Wagner and Zabel compared the prions from the brains of CWD-infected deer in Texas with those of elk in Colorado. They want to know if the proteins were all mangled in the same way, or not. “If they are different, this would suggest that we have different strain properties, which is evidence as we're building our case that we might have multiple strains of CWD circulating in the U.S.,” says Wagner. The prions from the Texas deer were a lot harder to destroy than the ones from the Colorado elk. In fact, the guanidine barely damaged them at all. “We’ve never seen that before in any prion strain, which means that it has a completely different structure than we've ever seen before,” says Zabel. And that suggests that it might be a very different kind of chronic wasting disease. The researchers ran the same test on another Texas deer, with the same results. And, Zabel adds, there’s something else. “If it's still evolving, it may still evolve into a form that could potentially, eventually affect humans,” he says. After the four symptomatic animals were euthanized, Czub and her colleagues ran a bunch of tests, which Czub says “suggested the presence of CWD.” But there are a number of factors that make this complicated. First off, three of the four sick monkeys also happened to have diabetes. “And it's really important to mention that, because diabetes — uncontrolled diabetes — really does induce wasting, so we need we need to be super careful in the interpretation of wasting,” says Czub. Czub has presented her preliminary results at conferences, but they have not yet gone through the true scientific ringer: peer-reviewed publication. That’s a crucial step, because where one researcher might see an unusual level of anxiety, another might just see an animal in captivity and under stress. Even the results from more technical evaluations, like analyzing slices of the brain for neuron death, could be interpreted in different ways. “We'd like to see them published so we can get a better idea of how strong the data really is to support transmission,” says Brent Race, a staff scientist at Rocky Mountain Laboratories in Montana, which is part of the National Institutes of Health’s National Institute of Allergy and Infectious Diseases. A deer herd in Roxborough State Park south of Boulder. Rae Ellen Bichell is a regional radio reporter with the Mountain West News Bureau. She’s based at KUNC in northern Colorado. She frequently covers science and health. Email High Country News at [email protected] or submit a letter to the editor.